Chilean lithium miner SQM confirmed Friday it expects realized lithium prices to be lower in the second half of 2018 partly as a result of new supply ramping in Australia and the company’s own predicted increase in sales, even though global demand is forecast to grow more than 20% this year. Delivering results for the three months to June 30, the $12.8-billion Santiago-based company posted a $247.7-million revenue, which represents a 21.2% jump when compared to the same period of 2017. Total revenue from SQM's five businesses increased by 13% to $1.15 billion, from $1.02 billion in the corresponding months last year, thanks mainly to the company’s lithium unit. Price commentary unlikely to deter a very bearish sentiment on lithium-heavy names, say analysts. Despite expecting softer prices in the months to come, the company said they will remain higher than the average reached last year. Sector analysts, including BMO’s Joel Jackson, agreed SQM’s lithium price commentary was unlikely to deter a very bearish sentiment on lithium-heavy names. The company, in fact, expects lithium sales volumes to be almost 50% higher in the second half of the year, compared to the first half, bringing total sales volumes to over 50k tonnes during 2018. To meet company expectation, however, at least 60% of volume needs to come in second half versus a normal skew of 52-54, BMO’s Jackson said in a note to investors. While sales for the key ingredient in electric vehicle batteries were down 3% in the second quarter compared to last year, SQM achieved higher average prices in the second quarter — $16,568 per tonne. The figure represents a 26% increase over the $16,400 per tonne obtained in the first quarter of 2018. Chile, which holds the largest known lithium reserves in the world (about 52%), recently lost its top lithium producer crown to Australia. But SQM is working hard on reversing that. 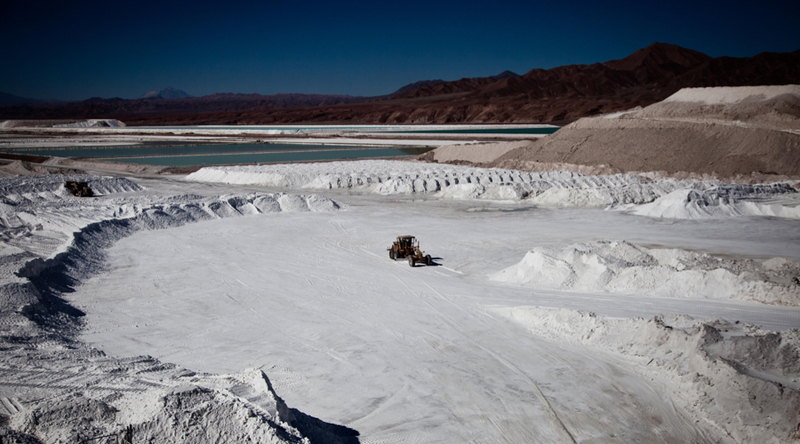 Over the past several months, the world’s number two lithium producer has been expanding its mines. The company recently finished the first stage of a lithium carbonate ramp-up in Chile’s Salar del Carmen, reaching a capacity of 70k million tonnes a year. “Our next step will be to work towards our goal of 120k MT/year, which is expected to be completed by the end of 2019,” chief executive officer Patricio de Solminihac said in the statement. The firm actually believes it will soon overtake US-based competitor Albemarle as the world's top lithium miner, by 2022 to be exact. SQM expects to boost its production capacity that year to 28% of the world's total versus Albemarle's 16%. By 2035, Chile could have an industry of about $10 billion, made up of a combination of carbonate and lithium hydroxide output as well as value-added products, such as cathodes, according to the Chilean Copper Commission (Cochilco). SQM boss also reaffirmed the firm’s commitment to the 40,000 tonnes per year Mt Holland project in Australia, which he called “a key asset” in the producer’s portfolio. “This is a very large rock deposit with significant exploration upside. We have secured a key industrial site for the future refinery where we expect to produce at least 45k MT of lithium hydroxide per year,” Solminihac said. Last week, SQM sold its 50%-share in an Argentinian brine joint venture, leaving the company with a single project outside its core Chilean operations. 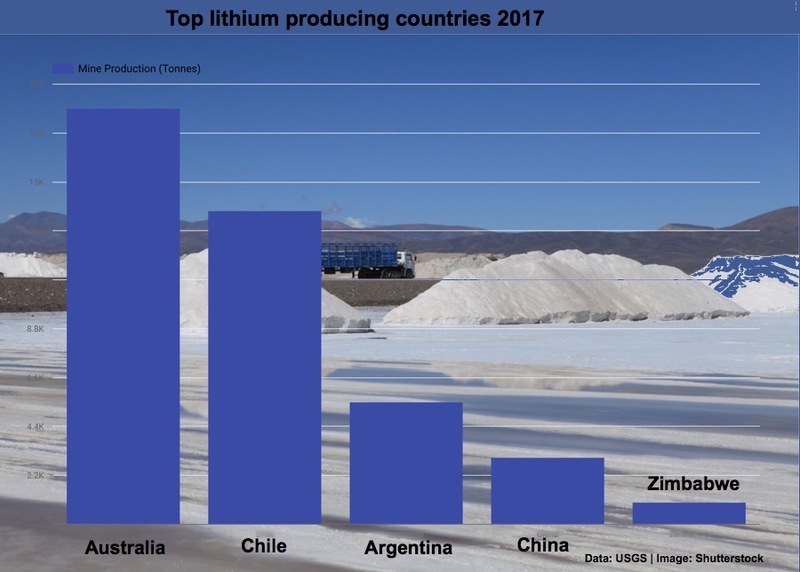 Both Chilean authorities and analysts believe lithium has the potential to become the nation’s second largest mining export, just behind copper. It currently is its fourth biggest export. For more on this topic read – Lithium price: Chile giant’s scorched earth strategy.